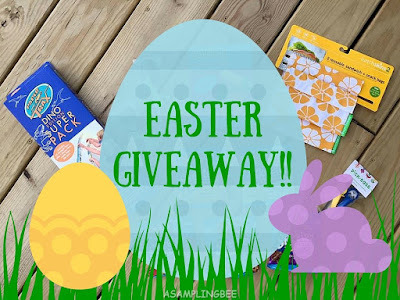 A Sampling Bee: Easter Basket Gift Guide and GIVEAWAY! Hi there! Easter is right around the corner so I have decided to create an Easter Basket Gift Guide! All of the products are products that I love! I wanted to share them with you because they are perfect alternatives for your child's Easter Basket. Especially if your child has a nut allergy. 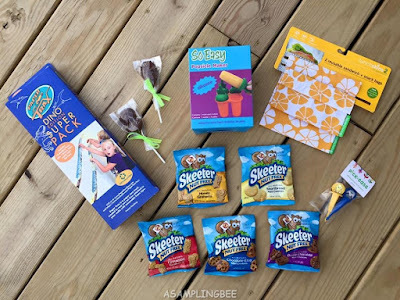 This Easter Basket Gift Guide will allow your child to play with something cool, eat their meal in a fun way, pack there lunch while helping the environment and allow them to enjoy nut free snacks that taste just like the real thing! 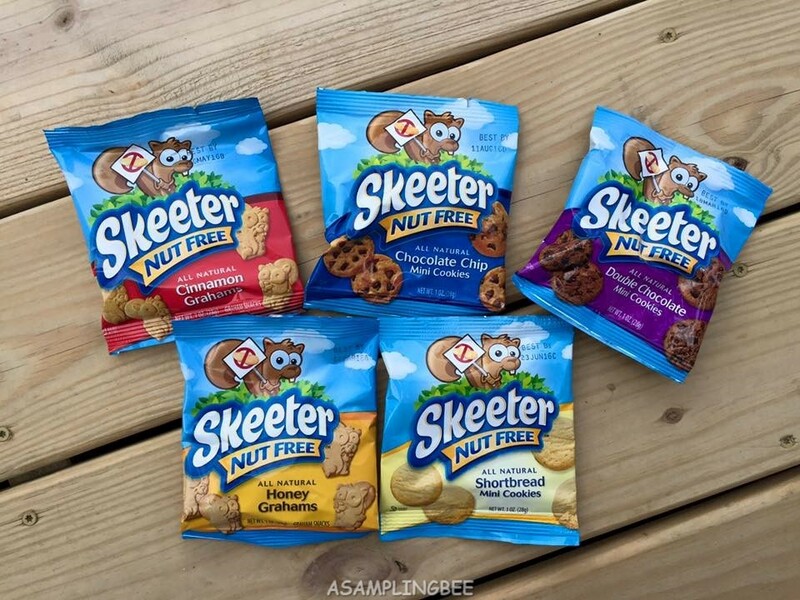 Skeeter Nut Free Snacks are 100% NUT FREE! An Easter Basket wouldn't be complete without some delicious chocolates! These cute lollipops are NUT FREE! 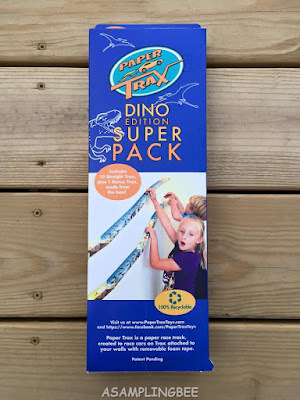 Paper Trax makes the best basket stuffer! Your kids will be entertained for hours! 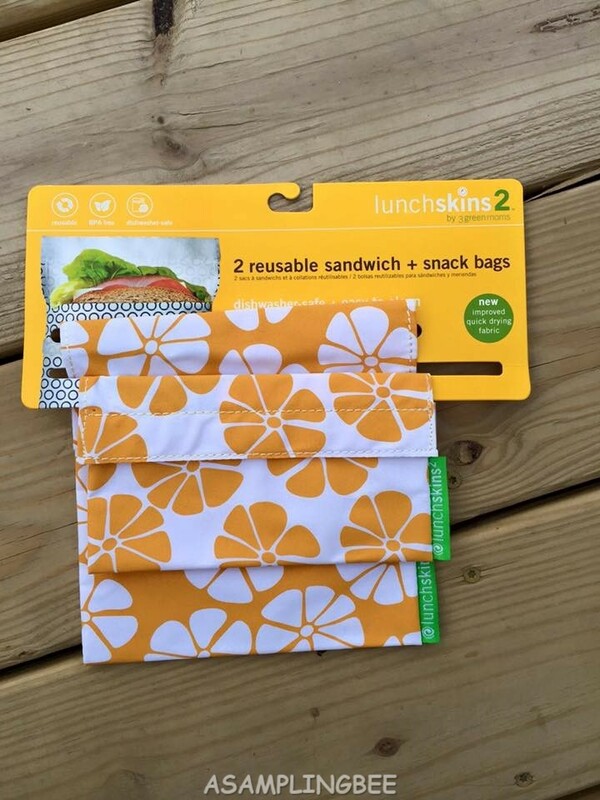 Winner will also get these Lunchskins reusable snack and sandwich bags. I love these! 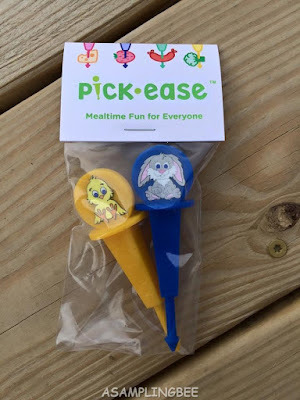 These are some fun picks for Easter baskets! I need to get busy putting my kiddos baskets together and I'd love to have several of these items inside! Those are fun Easter Basket ideas! And a fab giveaway too! Love everything, especially the popsickle sticks! Those are awesome Easter baskets!! We love the reese cup eggs or starburst jelly beans! What a great giveaway!! These are all great items to put in an Easter basket!! These are all fun filled with goodies Easter baskets. Great idea! My favorite Easter candy is mini Cadbury eggs. Mine too, Chelsea! They're the best! The perfect gift basket for toddlers! 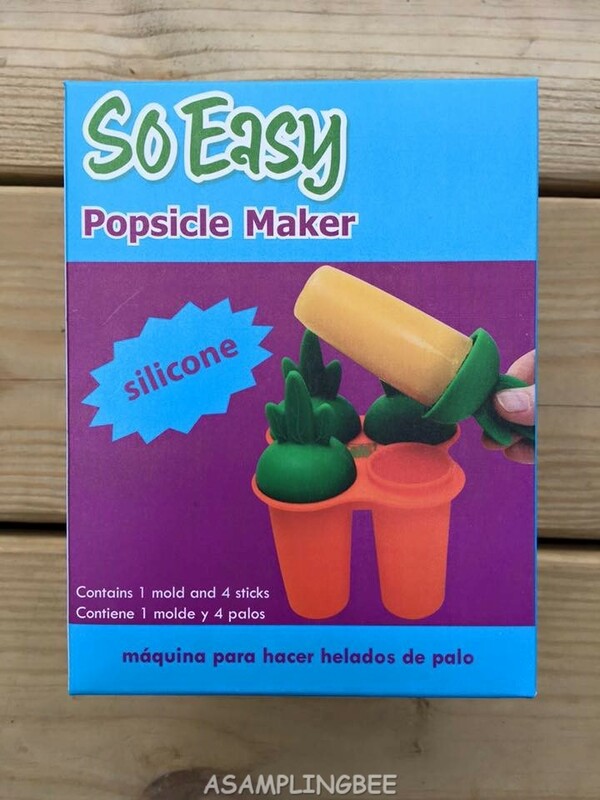 I love the little popsicle maker. And the treats as well! What a FUN Easter basket! I remember getting See's Candies in my basket when I was a kid. What an awesome basket! I love the popsicle maker! I will have to enter the giveaway! 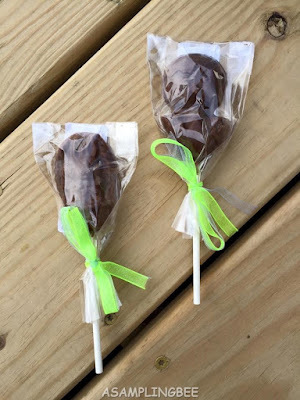 These are great ideas for the easter baskets! I just love those carrot popsicle molds. Too cute! What a wonderful giveaway! I love this fun idea and I'm sure kids would also love it. Such a beautiful idea to fill the Easter basket with some wonderful goodies all the way. I agree they aren't complete without those yummy chocolates & I would love those cute lollipops as well, but I would prefer them with nuts! 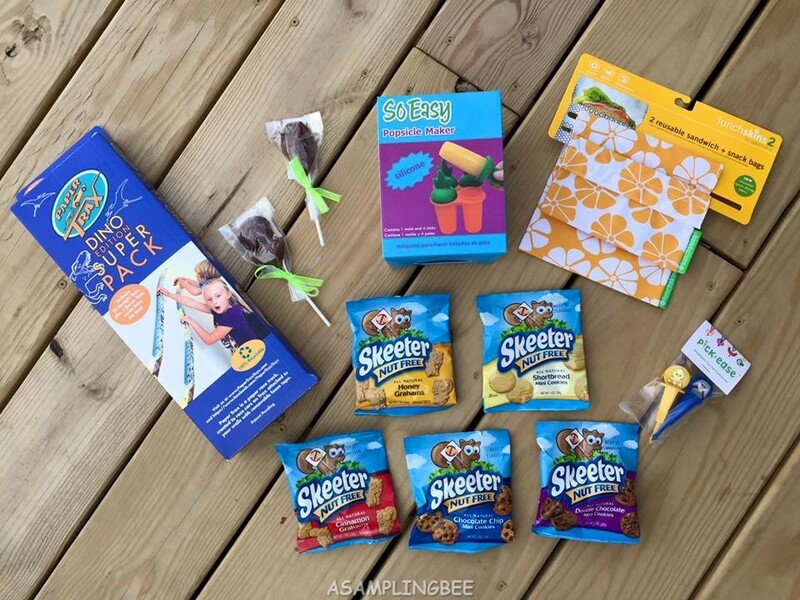 Oh this is such a fun giveaway! Thank you for the chance. I can't wait for Easter. So much fun crafts. I love those reusable lunch bags! These are all such cute ideas!! This giveaway looks amazing! As a kid, my favorite were the original Cadbury eggs. Now, it's the caramel filled version! Mmmmm love me some Cadbury! Thanks Emily! Congrats! You have won! How exciting?! Thank you so much! !